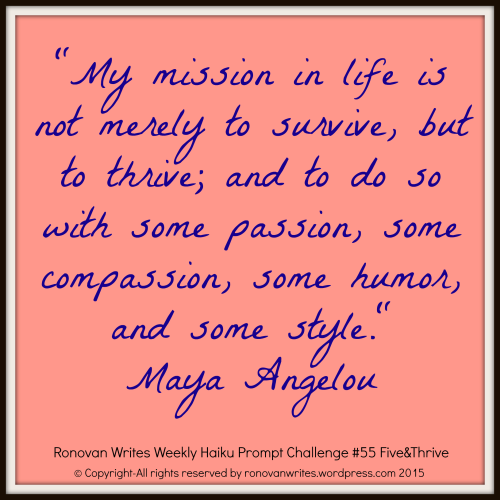 This week, the prompt words for Ronovan Writes Weekly Haiku Poetry Challenge are FIVE and THRIVE. If you’ve never tried out a haiku before, and you’d like to learn more, click here to read Ronovan’s article on how to write a haiku poem in English form. Thanks to Ronovan for providing the opportunity. My friend Colleen, over at Silver Threading kindly hosted me today. I just wanted the opportunity to say thanks to Colleen for her support. I really enjoyed writing the origin story. Your Tanka says so much more within the frame. Beautiful feel to it. That’s a wonderful synopsis of your book. I know an awful lot about your character, her goal, and motivations now. Thanks, Jacqui 🙂 I agree – Ronovan’s haikus are great. Congrats on the launch as well. I got an email this morning saying my pre-order had worked, so that was a nice little message to wake up to 🙂 I will certainly be doing my best to get to it soon! Yay! I love when that happens 😀 Thanks, Callum. I know you have a literary mountain to climb first – A Game of Thrones among other things! 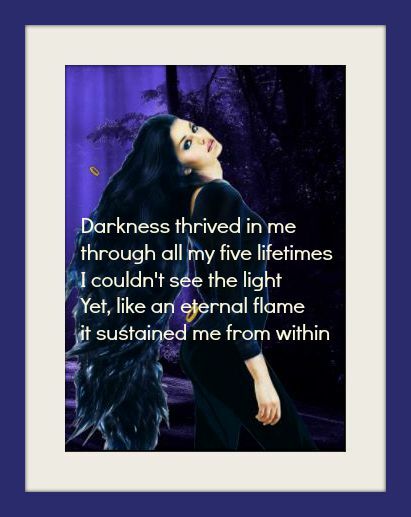 Melinda, your Tanka says it all! Ronovan’s really speaks to me, as thriving has been related to my by Spirit and I’m still making my way towards it. Love the tanka though (perhaps surprisingly as a poet) I don’t know anything about the constraints. I’m more of a freeverse poet myself with a touch of rhyme here or there.